The Public Prosecution Service has said three people will be charged in connection with the sectarian killing of Robert Hamill. 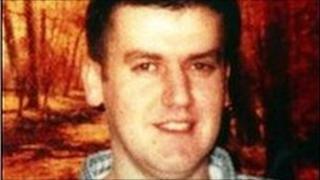 Mr Hamill, a 25-year-old Catholic, was beaten to death by a loyalist mob in Portadown, County Armagh, in 1997. Claims that police failed to intervene are the subject of a public inquiry. The PPS decision followed a request from the inquiry team to reconsider a move not to prosecute Reserve Constable Robert Atkinson. It is alleged the former RUC officer told one of the suspects to destroy the clothes he was wearing on the night of the attack. Mr Atkinson, who denies the allegations, was arrested in 2003 on suspicion of perverting the course of justice but the case was later dropped by the PPS. That decision was reviewed after a request by the Public Inquiry Team in March 2010. In a statement released on Tuesday the PPS confirmed that following a review of the evidence it had concluded there was a case to be answered. "The test for prosecution is met in respect of two persons for an offence of conspiracy to pervert the course of justice, and one person for an offence of doing an act with intent to pervert the course of justice," the statement said. Robert Atkinson is believed to be one of those facing prosecution. The inquiry began its public hearings in January 2009 and held its closing submissions hearings in December 2009. It heard evidence in person from 174 witnesses and witness statements from a further 37 witnesses. Robert Hamill, a father-of-three, suffered serious head injuries and died 11 days after the attack.